or belief without proof and can be synonymous with hope, conviction and expectation. The Bible says faith is the substance of things hoped for, the evidence of things not seen. So what does that really mean? Many times we’re so focused on what we can see and touch. We’re focused on what we consider to be “real”. But what is truly real? Most of us have faith that we’ll wake up tomorrow. And most of us have faith that we our bodies will take care of its necessary functions like digestion, elimination and breathing. We have faith without even thinking about it. However, if we pay close attention, we can see evidence of faith in our lives on a much larger basis. In my life journey I’ve learned I can’t plan for everything that may happen. In fact, the more I plan or think I’m in control the more things go awry. The times I’ve let go and trusted things will be handled in my favor are the times when I attracted exactly what I needed. debt and I didn’t have funds to pay my rent. I was driving myself into a frenzy trying to figure out any way to make enough to pay rent. I created a list of some legal and some not so legal ways to make some quick cash. the envelope were two things, a letter and a small booklet. The booklet was “The Daily Word”, which is a monthly pamphlet with a daily spiritual message. There was also a letter with a number to call for prayer. I called that number and spoke to a woman who had the most soothing voice and demeanor. of calmness. I also had complete faith that everything would be alright. to get a part time job to take care of my immediate expenses. Was this a coincidence? What do you think? I still have no idea who sent me the envelope. However, what I learned from that experience is that GOD wants to provide for us even more than we want to take care of ourselves. HE will provide. We just have to trust and know. 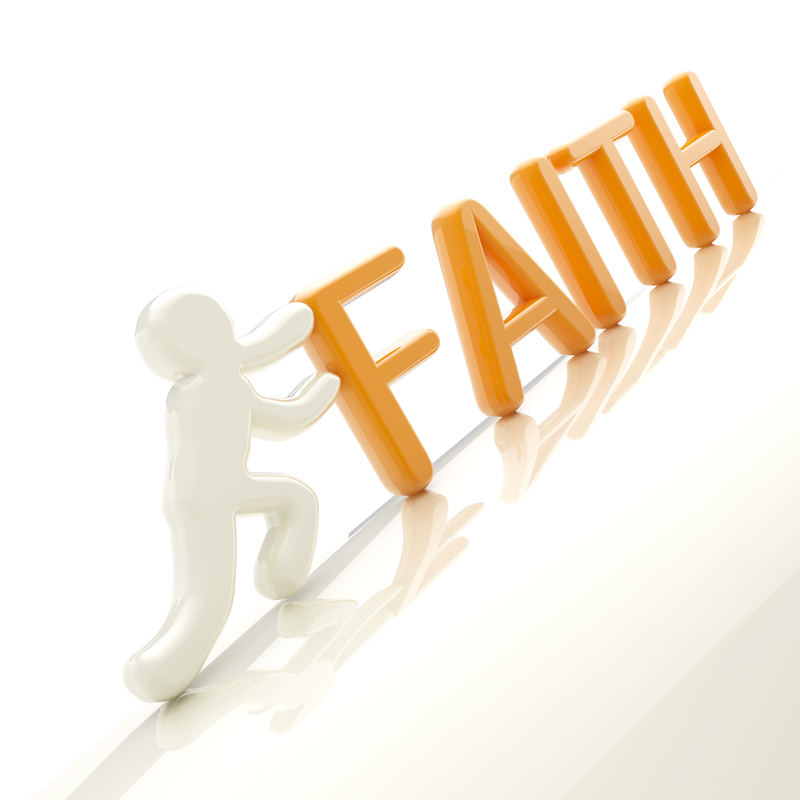 Writer and Director, Julia Cameron, says she has learned faith is about trust and action. You must take some kind of step to put your faith into action. If you pray for oranges you may get apples, but those apples will be exactly what you needed. I put my faith into action by making that phone call. And I was rewarded. What about you? How powerful is your faith? What steps have you taken? I’d love to hear your story.